If you’re looking for your next coastal foodie adventure that’s a little different from the regular beach fare, head to Wrightsville Beach. 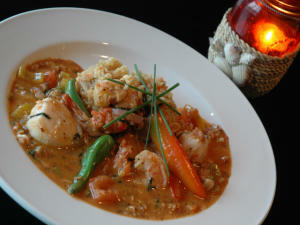 This island, located a bridge away from historic Wilmington, is not only a surfer’s paradise, but a foodie’s as well. From oceanfront dining, farm-to-table menus and culinary events, Wrightsville Beach is also the perfect place to spend a mild, fall day. 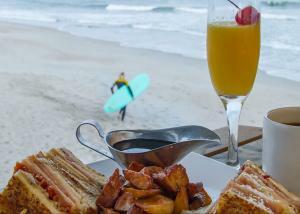 Read on for a foodie’s perfect day at Wrightsville Beach. Between this jam-packed food itinerary and two exciting food festivals, you’ll find plenty to taste in North Carolina’s tastiest beach town. Early risers, rejoice! 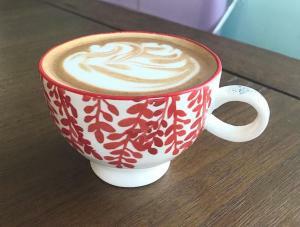 SUNdays Café, located at the south end of Wrightsville Beach, serves everything from creamy iced lattes to delicious breakfast pastries starting at 6:30 a.m. Locally owned and laidback, SUNdays is the perfect place to relax and enjoy high-quality coffee while prepping for the food-filled day ahead. Don’t be surprised if you see other customers snapping photos of their picture-perfect lattes – this café is a food and lifestyle blogger’s dream, with surf-chic décor and plenty of natural light. 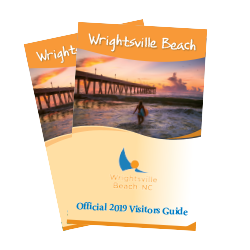 Surfers also love to gather here before hitting the waves, so you’ll get a taste of the famous Wrightsville Beach surf culture that attracts beachgoers from across the country. 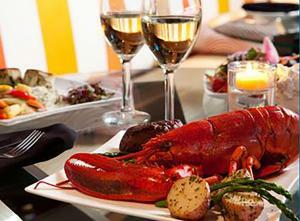 If you’re in town for a lazy Sunday, head straight to Oceanic Restaurant. A Wrightsville Beach staple for almost 30 years, brunch at Oceanic is a favorite thanks to its Southern-infused seafood and unbeatable view from the Crystal Pier. The restaurant also takes pride in its rich history and was named after a popular hotel destroyed in the Great Fire of Wrightsville Beach in 1934. Order the Oceanic Omelet, a three-egg omelet stuffed with fresh Backfin crabmeat, shrimp and cream cheese, for a breakfast as beachy as your view. If you have a sweeter tooth, order a classic brunch staple: French toast served with butter and perfectly warmed syrup. While the lunch and dinner menus are equally as mouth-watering, you can’t beat a peaceful morning spent oceanfront. After spending the morning on the beach and maybe even catching a wave or two, head to SurfBerry Café for a healthy and refreshing lunch. 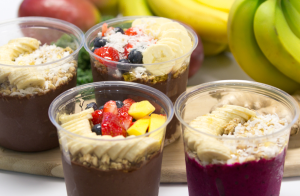 The café serves up acai bowls, smoothies and cold pressed juices to fuel you up for an afternoon on the beach. Not only are the menu items organic, vegan and bursting with flavor, they are also picture-perfect for your next Insta. When you’re finished enjoying your colorful lunch, rent a standup paddleboard, kayak, surfboard or other beach essential, available on-site, to work up an appetite for dinner. No foodie adventure is complete without an authentic farm-to-table meal. Among the many restaurants on the island that fit this description are EAST Oceanfront and 22 North, two shining stars among the Wrightsville Beach culinary scene. EAST Oceanfront, a chef-driven restaurant located at the Blockade Runner Beach Resort, is set in a posh oceanfront garden and serves some of the best coastal food in the state. Executive Chef Jessica Cabo, a runner-up on FOX’s “Hell’s Kitchen,” and her culinary team create vegetarian and seafood-centric dishes to reflect tastes from Mexico, Asia, the Mediterranean and California. The restaurant also features a special Maine lobster menu, with four perfected options including Lobster Pomodoro and gourmet Surf-N-Turf. EAST Oceanfront is sure to give foodies the ultimate dining experience, complete with an exquisite selection of wines, spirits and local craft beers to round out a top-of-the-line meal. 22 North, locally known as a best kept secret, serves delicious gourmet food using the best local sustainable ingredients along with a handcrafted wine list and cocktail menu. While the restaurant stays true to its Lower Cape Fear roots, it also adds a classical French and Creole twist for a bold and exciting menu that changes daily. Chefs Brent Poteat, Andrew Pierce and Jason Lilly have received multiple Epicurean Evening awards for their Shrimp & Corn Bisque, and the restaurant has taken home the Wilmington Wine & Food Festival People’s Choice Award for two years in a row. Don’t skip dessert: 22 North is known for its Apple Brown Betty Bread Pudding and Ice Tea Chess Pie. After dinner, head to The Palm Room for delicious handcrafted cocktails and live music. Located near Johnnie Mercer’s Pier, The Palm Room is a historic bar at Wrightsville Beach that’s been serving locals and tourists since 1955. 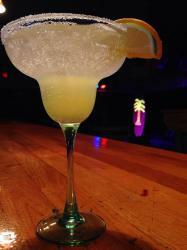 Drink specials change daily, but you can always rely on a tropical-inspired Painkiller or ice-cold beer. Check The Palm Room’s Facebook events page for an up-to-date list of performers. Consider planning your trip around the 5th Annual Taste of Wrightsville Beach or Oysterberfest, both taking place on Saturday, Oct. 21. At the Taste of Wrightsville Beach, more than 30 local food, beer and wine tasting booths will be set up along the waterfront for your tasting pleasure, and local celebs will rate the dishes for "Best in Show," while the public will have a chance to vote for the People&apos;s Choice winner. The first annual Oysterberfest, taking place at Wrightsville Beach Brewery, is a German-themed fall celebration with an oyster roast, special fall beers, German cuisine and live performances.